Selecting the best nursing school in North Dakota can be difficult. To make the process easier first look for a school that supports students towards licensure and beyond. A great way to measure this is through NCLEX-RN "pass rates." We have ranked the top 5 nursing schools in North Dakota by analyzing current and historical NCLEX-RN "pass rates", meaning the percentage of graduates who pass the exam, out of the 11 RN programs in the state. Programs reviewed include schools that offer an Associate in Nursing (ADN/ASN), BSN, or Direct-Entry MSN Degree. Striving for excellence in the health care system has set North Dakota up to be one of the leading quality patient based systems. The state is looking at an increase in job opportunities by approximately 20%, making earning a degree in nursing an excellent career move. The Bureau of Labor Statistics reports the average salary of a registered nurse in North Dakota at $58,890, ensuring that a nursing career in the state is both worthwhile and rewarding. Earning an Associate's Degree in Nursing (ADN) is a great way to get started as a registered nurse. This program is just 2 years in length, making it a popular and budget-friendly choice for those without the resources or time to complete a 4-year degree. Many community and technical colleges offer an ADN program, making it widely accessible no matter what part of the state you live in. There are roughly 5 schools in North Dakota that offer an accredited ADN program. The Accreditation Commission for Education in Nursing (ACEN) and the American Association of Colleges of Nursing's Commission on Collegiate Nursing Education (CCNE) are a few of the nationally recognized organizations that you'll want to make sure your school's program is accredited by. Accreditations ensure that your school is up to par with quality nursing education standards. Aside from this, you'll also want to check that your desired program is recognized by the North Dakota Board of Nursing. A nursing license is received once you've completed your ADN program and passed the National Council Licensure Examination (NCLEX). Your program should fully prepare you for this exam. It's a good idea to check your prospective school's curriculum and even talk to the faculty to ensure that the program has favorable pass rates for the exam. According to the American Association of Colleges of Nursing, 501 students took the NCLEX exam for the first time in 2015, and 93.8% of new nurse grads who took the exam received a nursing license. Bismarck State College is one North Dakota school that offers an accredited ADN program. Breaking out the costs of your ADN program can take a little preparation. You will need to pay the main expense of tuition, but you should also expect to pay for additional items such as lab fees, textbooks, uniforms, and more. Depending on your school, these fees will either be included in the cost of tuition or separate expenses. ADN programs are fantastic for those who are anxious to become a registered nurse quicker than a 4-year program or beyond would allow. They tend to be cost-effective, and are a great starting point for a career as a nurse, as you can always continue your education from there. They are also widely accessible at junior colleges and other similar institutions. For Licensed Practical Nurses (LPNs) considering career advancement, LPN to RN specialty programs are a great way to enter registered nursing. These programs build upon the LPN educated already obtained, making them shorter and more efficient than a traditional RN program. Students can choose between an RN to ADN or RN to BSN pathway. Practical nurses looking for the quickest way to enter registered nursing may choose to pursue an LPN to ADN program, which culminates in an associate's degree in nursing. North Dakota is home to a series of Dakota Nursing "1+1" programs, in which LPNs can earn an ADN in the span of 2 years. A consortium of four member colleges in the state offer this pathway. For those interested in earning the coveted BSN degrees, LPN to BSN programs exist. North Dakota State University, for example, offers an LPN to BSN that's designed to be completed in six semesters (including summers). For those interested in a full 4-year degree, a Bachelor's of Science in Nursing (BSN) is an excellent option. This slightly advanced program can lead the way to a wider variety of nursing jobs, along with a higher salary. It's typically offered at larger universities in more urban environments. Many schools also offer an accelerated BSN program, for those who already hold a bachelor's degree or higher in another subject, as well as an RN to BSN program for registered nurses who hold an ADN. Looking for a BSN program in North Dakota? There are about 8 schools currently offering the program in the state. It's imperative to fully research any BSN program you are thinking about attending. Cost, accreditation, and location are just a few of the things you'll want to compare. It's also a good idea to see how long the school has offered the program; usually a school with a longer history has a legitimate program. The University of Jamestown offers a properly accredited BSN program in the state. You can expect a traditional BSN program to take 4 years from start to finish at a university. An accelerated BSN program can take as little as 15 months to complete, but these are reserved only for those who already hold a bachelor's degree in another field. 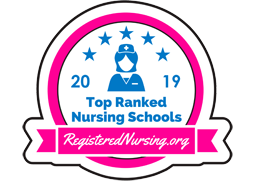 If you are already an RN but want to advance your nursing education, RN to BSN programs are increasingly available at many schools and tend to last roughly 2 years, depending on what kind of specialty you are interested in. Aside from the main cost of tuition, you'll need to factor in other mandatory associated fees. Things like books, room and board, transportation, lab fees, and more will need to be accounted for when calculating your comprehensive program costs. It's a good idea to get a breakdown of these costs from your school of choice so that you aren't surprised by any unexpected fees. As one example of BSN program costs, tuition and fees at Minot State University in North Dakota will run you an estimated $12,450 including room and board. A traditional BSN is an ideal choice for someone who knows they want a 4-year degree and who also wants to expand their nursing career opportunities. It's also a very versatile degree, as the accelerated program is great for those looking to switch careers, and the RN to BSN is perfect for the registered nurse who wants to advance in their career. Registered nurses who hold a BSN can also expect a higher annual salary, depending on what type of nursing job they land. 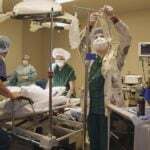 The next educational step in a nursing career beyond a BSN is a Master's of Science in Nursing degree (MSN). An MSN is required for those who want to go into more advanced specialties or apply for jobs including Clinical Nurse Specialist, Certified Nurse Midwife, and Nurse Practitioner, and others. These types of nursing jobs offer increased responsibility and higher pay. There are approximately 3 schools in the state that offer an MSN program. An MSN program will take, on average, 2-3 years to complete. This can vary a bit based on what type of specialty you'd like to go into, as well as what kind of learning schedule you choose. Many schools offer flexible schedules, including night and online courses, to accommodate busy working nurses. It's a good idea to check with any prospective school to see what kind of course schedules they offer. MSN program costs can vary depending on a few factors. Many programs offer specialty emphasis, and these can come with unique fees and/or different tuition rates. No matter the program, though, you'll need to pay for tuition and other required miscellaneous costs like textbooks, labs, and the like. To give you an idea, the estimated cost for tuition and fees for the MSN program at University of North Dakota, located in Grand Forks, is roughly $402.67 per credit. 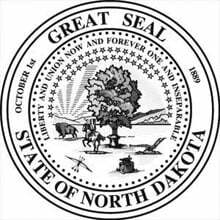 North Dakota has a clearly laid out structure to apply for nursing licensure by examination or endorsement. Could you commit to a 12 to 18-month program if it meant that you would have graduated from an accelerated degree program? Employers are looking for nurses that have upgraded their qualifications to that of a degree program, these accelerated programs give candidates that opportunity within a short period of time. Criteria for direct entry is dependent upon the BA you currently hold and if you will need to complete prerequisite courses. Prerequisite course will add a bit of time on to the program, as well as vary the cost of tuition, but in the long run the investment will fast track your career. Dakota Nursing Program - Bismarck is home to a variety of nursing pathways designed to meet state and federal gaps in qualified nursing professionals. With a collaborative approach to patient care, graduates are an excellent addition to the workforce. Get all the program details by visiting the Bismarck State College website. North Dakota State College of Science in Wahpeton, North Dakota is located on the Red River. Nursing graduates are evidence-based and compassionate care providers, as well as strong advocates of preventative wellness measures. Visit the North Dakota State College of Science nursing website to learn more. Dickinson State University in Dickinson, North Dakota is located in Stark County. Graduates who possess a BSN from the school are known to be advocates of workplace health and safety as they affect patient care and team collaboration. Follow the link to learn more about the Dickinson State University nursing program. Minot State University is nestled in the heart of Minot, North Dakota. Experienced faculty guides BSN and MSN degree students toward an understanding of the nursing profession that is ethical, proactive, and innovative. Learn more by visiting the Minot State University nursing website. Entering the the Top 5 in the state rankings for the first time, the University of North Dakota offers a 120-credit BSN program for aspiring RNs. The curriculum includes 4 weeks of clinicals and students are able to utilize the Clinical Resource and Simulation Center to help facilitate their learning. Get all the program details by visiting the University of North Dakota website.